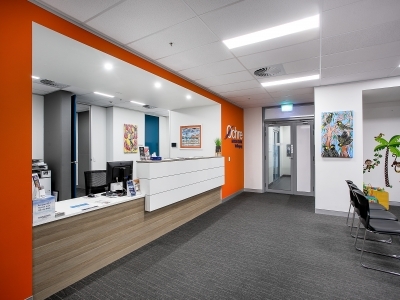 Ochre Medical Centre was purpose built to provide up-to-date facilities required for the provision of comprehensive medical care for the community. Featuring 17 spacious consulting rooms boasting natural light, three-bed treatment room, and a dedicated procedure room. Located on the corner of Crown Street and Corrimal Street in the CBD and within 500m of Wollongong’s waterfront and recreational parks. 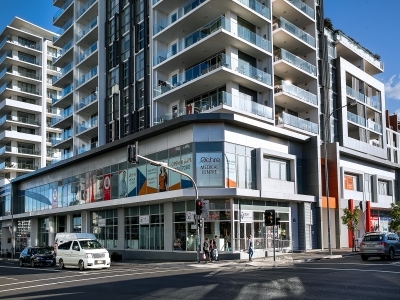 The area is serviced by multiple transport networks and all forms of CBD retail convenience. Click here for a map of car parking options around the medical centre. Ochre is proud to have five local experienced General Practitioners within the team who’ll see patients over a 15-minute consultation. Supporting our doctors, is a team of medial professionals including registered nurses, allied health and administration staff. The mixed billing Centre will provide general practice services for you and your family’s health, from childhood vaccinations and aged care, travel advice through to women’s and men’s health. Enabling patients to create a lasting rapport for years to come with their doctors. To learn more about our doctors and their medical specialties click the ‘Doctors’ tab above. Bookings – New patients and walk-ins welcome. Online bookings are available or download the app for Apple iPhone & iPad or Google Android to make appointments on the go. Children under 16 years of age are bulk-billed.